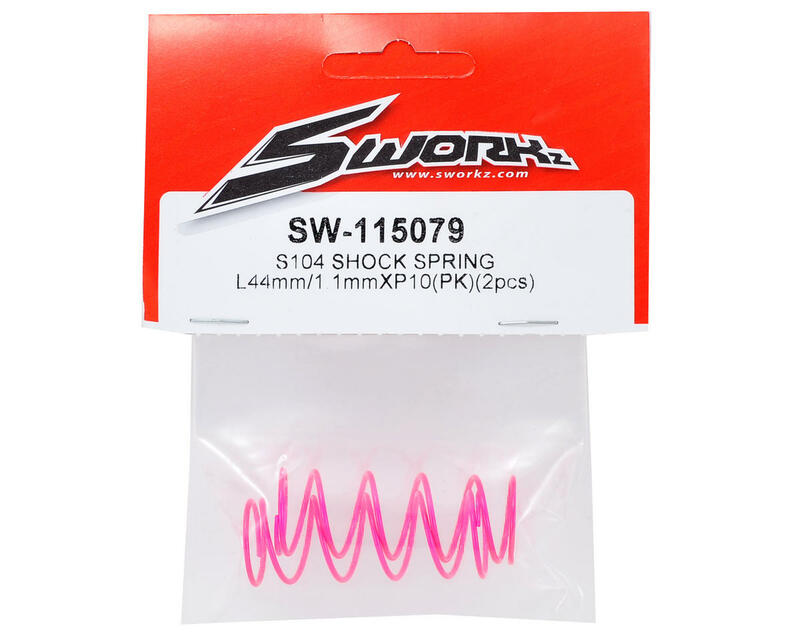 This is a pack of two SWorkz S104 Front Shock Springs. These pink springs are rated "soft". 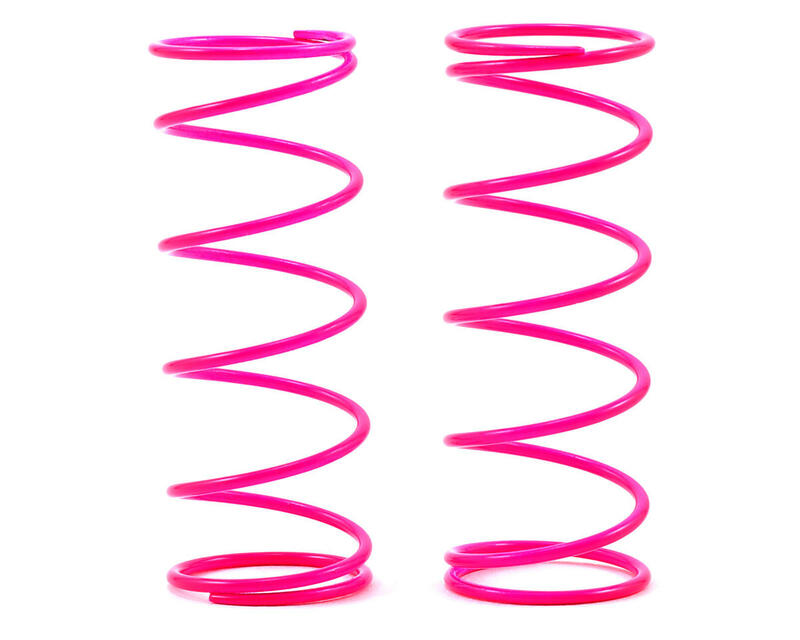 These 44mm long springs are made with 1.1mm wire and feature a 10mm gap between the spring coils.